Yay for the new MAC collection, which is coming to stores this April, the shop MAC and cook MAC collection. I am definitely checking out the kissable lipcolors, which I couldn't lay my hands on last time. 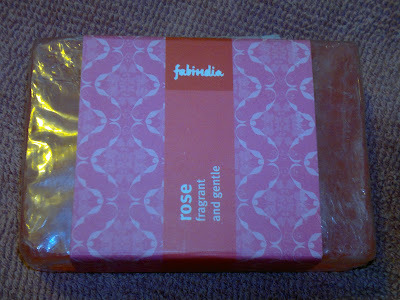 Now a very basic and fragrant product review from FabIndia, it's the FabIndia Rose Bathing Bar. Price: INR 65 for 75 gm of product, packaging is quiet basic and ecofriendly with the bar wrpapped in a thin plastic film and a paper wrapper with the details about the product mentioned. 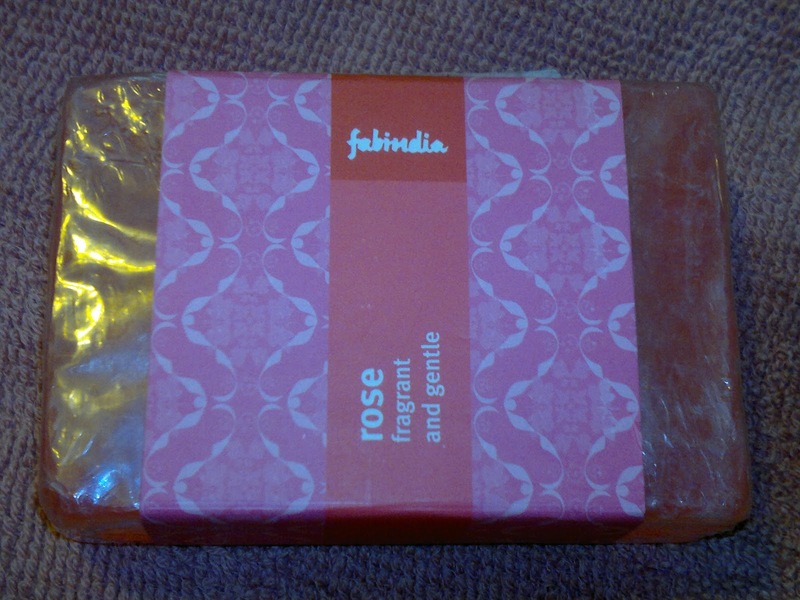 My experience with FabIndia soaps has been awesome, always. They are the quiet mild yet effective and I have seen them making my skin soft and tan free. The best point about them is their Aroma, nothing artificial, just like the smell of a fresh rose, it fills your senses and relaxes you at the same time. 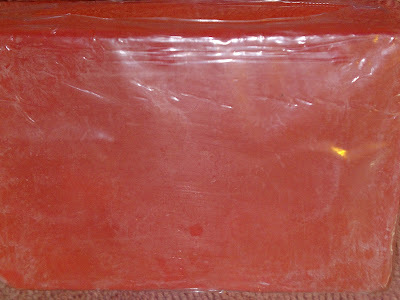 I have been using these soaps for a long long time, and always keep returning to them, especially in summers. 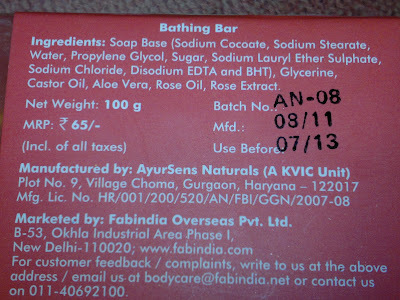 Sometimes, when I am in a hurry I skip my face wash and use this soap instead. They have never over dried my skin (as is the danger with soaps), and have cleaned them better than some face washes. 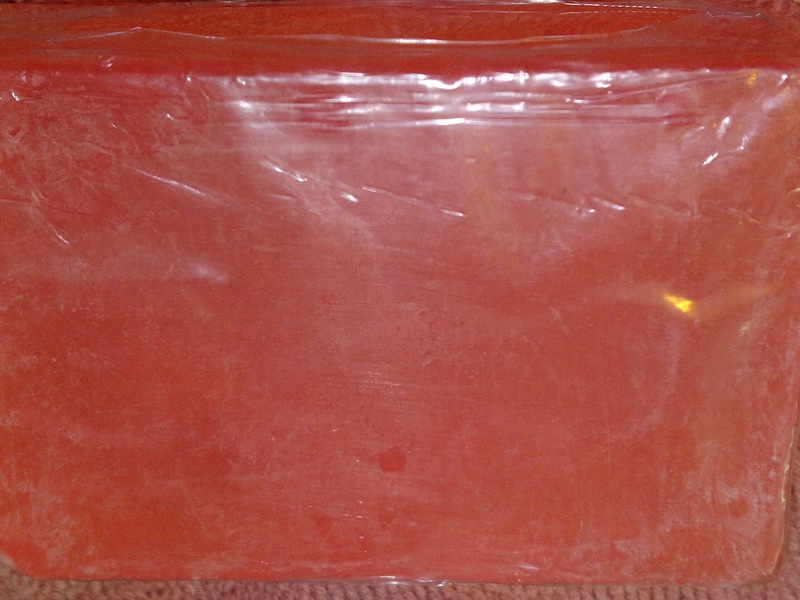 Also, these soaps are available in a plethora of fragrances, some of which I have tried and loved, must mention Khus and Sandalwood to be personal favorites, yet so many remain to be tried. Product rating: A+, available at all FabIndia outlets and most online shopping websites.Definitely recommended for the summers and for the refreshing fragrance. 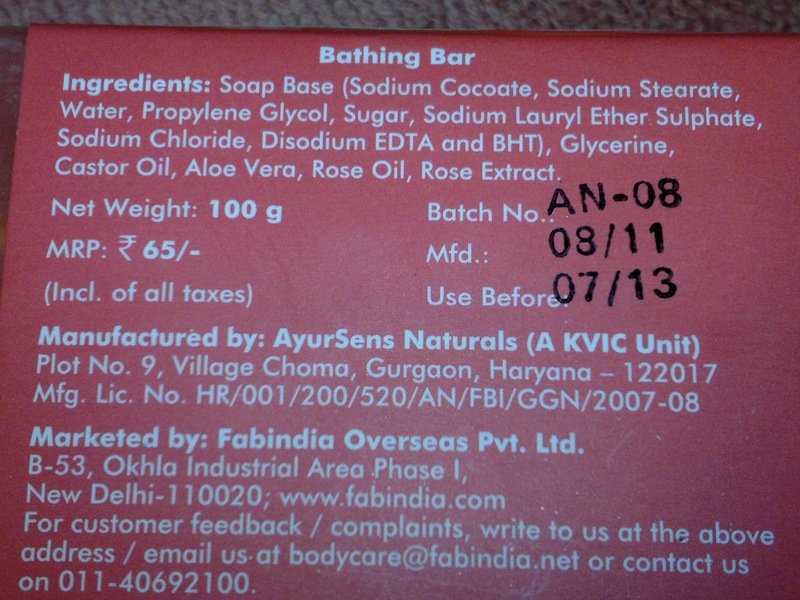 nice review, kumkum ji, i have used this one with shea butter.. it was really good and moisturising as well.